The School of Theology, Sewanee, Tennessee, has established the Sewanee Ministry Collaborative, a program that will create mutual mentoring groups for clergy. These groups will provide a means for clergy to empower one another to flourish in their particular contexts, that is, to have a renewed sense of call to ministry in a particular community. The Collaborative is focusing on contexts where mentorship is known to be especially important—Latino/Hispanic ministries; Black ministries; rural ministries; and for clergy trained in non-traditional theological education programs, with a special focus on women across all four groups. The School of Theology’s goal is to create clergy groups that represent a wide-range of diversity—age, ethnicity, region, etc. The Collaborative is currently seeking 32 participants this year who will commit to a three-year period as part of the four groups. 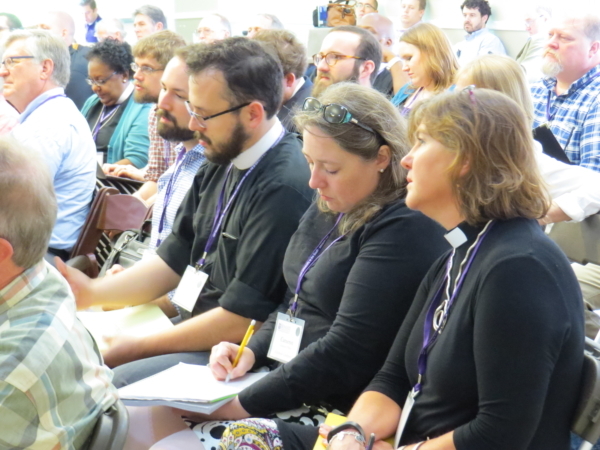 Each year will begin with a ministry summit, with the first summit taking place Sept. 10–13, 2019, in Sewanee. Summit participants will work in groups to develop the skills for flourishing individually and collectively. Between ministry summits, groups will have opportunities to meet virtually and in person to continue supporting one another’s ministries. In addition to group participants, the Collaborative is also seeking conveners—members of the group that will coordinate and facilitate the group’s work. They will attend an additional training session, Sept. 8–10, 2019, and will receive an additional honorarium. The only cost to participants is an annual $100 contribution to a travel expense pool. Interested parties may submit an application by filling out an online application found on the School of Theology’s website under the Academics/Continuing Education tab. The deadline to submit an application is May 17, 2019. All applicants will be notified of their status by June 7, 2019.